 Chapter 32C - North Carolina Uniform Power of Attorney Act. § 32C-1-104. Power of attorney; durability. § 32C-1-105. Execution of power of attorney. § 32C-1-106. Validity of power of attorney. § 32C-1-107. Meaning and effect of power of attorney. § 32C-1-108. Nomination of guardian; relation of agent to court-appointed fiduciary. § 32C-1-109. When power of attorney effective. § 32C-1-110. Termination of power of attorney. § 32C-1-111. Coagents and successor agents. § 32C-1-112. Reimbursement and compensation of agent. § 32C-1-115. Exoneration of agent. § 32C-1-118. Agent's resignation; notice. § 32C-1-119. Acceptance of and reliance upon power of attorney. § 32C-1-120. Liability for refusal to accept acknowledged power of attorney. § 32C-1-121. Principles of law and equity. § 32C-1-122. Laws applicable to financial institutions and other entities. § 32C-1-123. Remedies under other law. § 32C-2-201. Authority requiring specific grant; grant of general authority. § 32C-2-202. Incorporation of authority. § 32C-2-203. Construction of authority, generally. § 32C-2-205. Tangible personal property. § 32C-2-206. Stocks and bonds. § 32C-2-207. Commodities and options. § 32C-2-208. Banks and other financial institutions. § 32C-2-209. Operation of entity. § 32C-2-210. Insurance and annuities. § 32C-2-211. Estates, trusts, and other beneficial interests. § 32C-2-212. Claims and litigation. § 32C-2-213. Personal and family maintenance. § 32C-2-214. Benefits from governmental programs or civil or military service. § 32C-2-217. Gifts authorized by general authority. § 32C-2-218. Gifts authorized by court order. § 32C-2-219. Certain acts authorized by the court. Article 3 - Statutory Forms. § 32C-3-303. Limited power of attorney for real property. Article 4 - Miscellaneous Provisions. § 32C-4-401. Uniformity of application and construction. § 32C-4-402. Relation to Electronic Signatures in Global and National Commerce Act. § 32C-4-403. Effect on existing powers of attorney.